10 Best SEO has released its July list of the top search engine optimization providers in the market. The list features WebpageFX, Digital Current and Boostability, agencies that magnificently engage in social media and are credited with increasing clients' visibility and website visitor traffic. Recently, 10 Best SEO distributed honors to some of the top search engine optimization (SEO) agencies for the month of July 2016. The top three winners for the month are WebpageFX, Digital Current and Boostability. It is no secret that modern businesses need SEO in order to thrive in the marketplace. However, the best SEO agency might not necessarily stand out from its competitors, especially since so many of the agencies are constantly battling with each other to be the best. That's where 10 Best SEO comes into play. They create a comprehensive list of the 10 best online marketing agencies every month, and they will continue to distribute the award each month from here forward. 10 Best SEO uses a tried-and-true system of analysis that compares the most important features of the businesses they deem worthy of consideration. Only the most innovative and unique SEO service providers are included in the deliberations. This month’s award winners are representative of the caliber of providers that were scrutinized by 10 Best SEO. 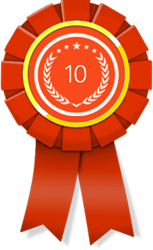 According to its July 2016 rankings, 10 Best SEO awarded WebpageFX the highest position on its list of best online marketing businesses. This firm is well-known as the best online marketing business in the industry, and they have offered their incredible SEO services for years. It has been proven that their methods deliver results through high page rankings and therefore more conversions. Their services don't just stop at SEO, either. They also offer comprehensive statistical analyses of all campaigns they undergo. Ranking second as a top SEO agency, Digital Current is often featured among the best SEO agencies on the current market. They make it their mission to increase visibility via a strong web presence. Their services also include link-building and keyword research as well, which helps them create more thorough SEO techniques. By combining their incredible experience with their professional knowledge, Digital Current is easily able to boost the brand recognition of their clients. The third spot on the list was awarded to Boostability, a leading SEO agency that offers much more than mere exposure in the marketplace. Their services also include social media management, web design, and content generation for those outlets. They have won an award for Best Local SEO Firm twice in a single year, and they have received recognition for their efforts from some of the most notable industry reviewers. For more information about this month’s award winners, visit http://www.10bestseo.com.